Whistler becomes "The Big Easy” for our May 4-7 District 5040 Conference at the Saturday evening Mardi Gras gala. 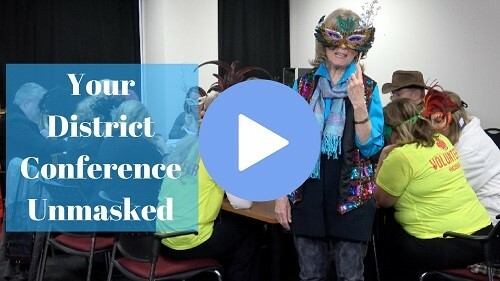 Unmasking for Mardi Gras, the conference committee takes a moment from its work together to give you an idea of what to expect throughout the conference. Read more to watch the video.